Unique patented design created by sign and graphic professional for all day use. 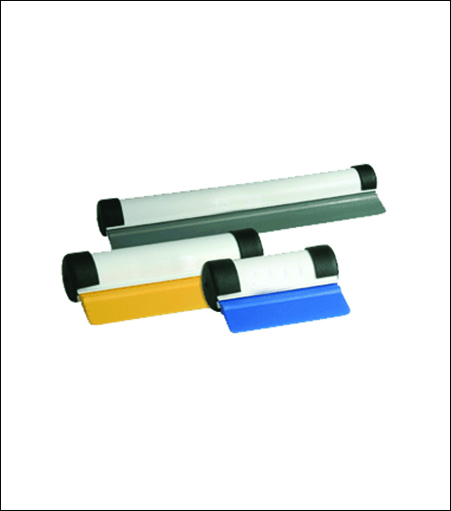 Lightweight yet adds rigidity to squeegee edges. Ergonomical design allows for full blade pressure and contact with less wrist strain. End Caps and internal fins keep the non- used blade clean and secure. Priced sensibly to allow multiple installers to have one of each size in their tool kit. Designed for easy squeegee blade replacement. 3 Industry Standard sizes to choose from.